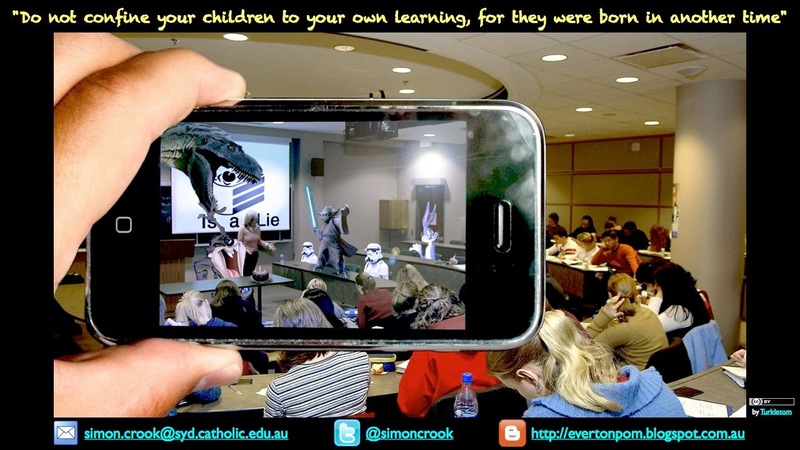 Below is a podcast I recorded for the students at ACU regarding eLearning in education and its future trajectory. Also below is a list of the resources I refer to plus some others that may be of use. The original recording can be found here and also below. My section kicks in at 34:25 and runs for 11 minutes (kind of broke the TeachMeet limit of 7 minutes...oops...). All credits to TER Podcast and thanks for allowing it to be embedded. 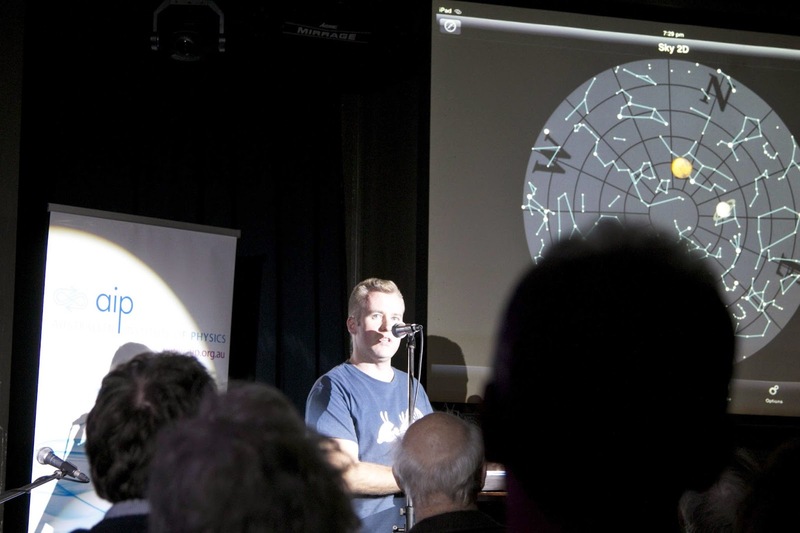 The other week I had the pleasure of attending the inaugural Institute of Physics NSW Physics in the Pub bash in Sydney, hosted by +Phil Dooley. It was an excellent night of presentations (8 minutes each, TeachMeet-style), all of which were very informative and some also very entertaining, musical and humorous (check out Physics Hacks by Chris Stewart - very funny (bad language warning)). The networking was also top notch. My contribution was 'iPeed on the iPad: Physics for Pre-schoolers'. Essentially, I demonstrated how a pre-schooler could have fun (learning physics at the same time) on the iPad using such apps as Planets and Universe Splitter. A recording of my presentation can be viewed below. Many thanks to Phil for organising, hosting and entertaining, Boris and AIP NSW for supporting, Chris for also entertaining and cutting the videos and to Shane Hengst from UNSW - Physics Outreach Unit for the photos. Below is the recent ABC Radio National broadcast of last year's ABC Splash Live event (previously described in this post). My presentation 'What does it mean to teach in a technology-rich world?' kicks in at about the 29 minute mark after some great work by Bron Stuckey and Dean Groom, and before Alice Leung's top draw presentation. The original recording and description can be found here on the Radio National site. Many thanks to Kulja at @ABCSplash. Earlier this month I had the fortune to attend the Edutech conference in Brisbane. It was a great event with some excellent speakers, Sugata Mitra being the best (what a way to start a conference!). However, the best thing for me was the networking, getting to know some of my up-and-coming colleagues in our delegation, and of course the Edutech TeachMeet. Thanks to some typically hard and selfless work by +Matt Esterman, working with the event organisers not least Jon Chivers, a great space was arranged in the main Expo for four mini-TeachMeet sessions. The first session was kicked off by the ever youthful grandfather of TeachMeets +Ewan McIntosh, with 16 presenters all up over the two days. My presentation 'Giggle - the Lighter Side of Ed(u)Tech' was a major expansion on 'Giggle the funny side of Edtech' from TM ACU with references to 'Giggle (and Hoot) - the funny pre-school side of Edtech' from TM Google (essentially third time lucky). The slides can be found below. Most of them are self-explanatory. A podcast of my presentation also appears here on the TER podcast (thanks @capitan_typo). A big thank you once again to Matt, Jon and the other organisers. Great to finally meet the likes of @wholeboxndice; always good to catch up and chew the fat with Matt, @largerama and @danhaesler; and one can never forget those crazy guys from the inner west (ping @jamiewahab, @chad_ferris, @steve_borthwick, @MelSmiles5, @ZeinaChalich and the gang). 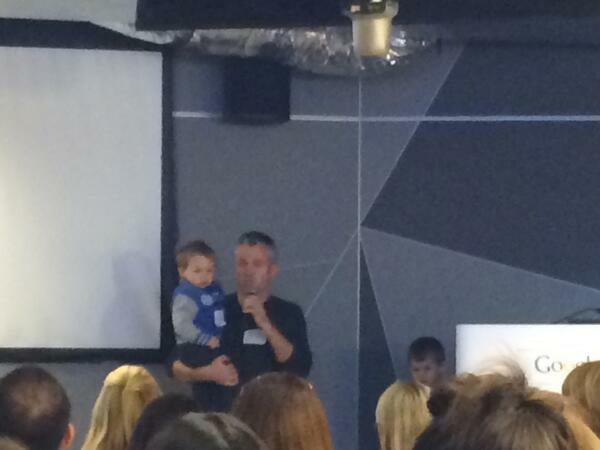 A few weeks back I presented at TeachMeet Google held at Google's very funky Sydney headquarters. Three days before the event my wife informed me that she had parent-teacher night that evening i.e. I had the kids! This posed a minor problem, how was was I going to deliver my incredibly witty presentation 'Giggle - the funny side of Edtech' with Mr4 and Mr2 in tow? As a testament to the character of @leannecameron (or her sense of anarchy) she agreed to let me bring both boys along. Due to the tight security at Google's headquarters I needed to provide all of their details. In so doing each of them had their own Google TeachMeet name tag which was quite cute. Given that I had two pre-schoolers with me, in a moment of idealism (or stupidity) I decided to change my presentation to include them, plumbing for 'Giggle (and Hoot) - the funny pre-school side of Edtech' (in reference to the Aussie kids show Giggle and Hoot). As his sonic furore started to gear up I panicked. Instead of grabbing an emergency chuppa chups I grabbed the iPad and played Peppa Pig on YouTube, moving us to just outside the door. The good thing was he quietened down and before my very eyes taught himself how to find and launch YouTube (previous he would only press on apps, then the home button, then another app, and so on). On the bad side he became addicted to the iPad. It was about this time that our turn came. I grabbed the iPad from the grasp of Mr2 and marched him and Mr4 to the stage. Cue massive tantrums to get the iPad back with screams of "PEPPA! PEPPA!". Just after I set up my iPad on the lectern and had begun introducing ourselves Mr 2, still screaming "PEPPA! ", tried to to jump up to the lectern, grabbing whatever wires he could almost wrecking Google's AV equipment!!! And so began our very quick presentation of 6 slides (see below). #2 - In describing Mr4's experience of technology I asked him how he spoke to Granny and Grandad every weekend on the other side of the world. His very cute answer was "On the 'puter"
#3 - I then asked him what his favourite game was ("Zombies"); what the sun were for and why he had to collect them. His sequence of answers was a great example of GBL problem solving. #4 - Getting a bit more conventional in the educational use of technology I asked Mr4 to explain the Planets app and how we can see it is daytime in England when it is nighttime in Australia. #5 - Rounding off Mr4's experience of technology I showed a talking animals video from the BBC (one of his favourites). The funny thing was the audio didn't work at first so Mr4 literally impersonated the marmots saying "Alan! Alan! Alan! No, Steve! Steve! Steve". Then the audio kicked in, much to his appreciation. In time, I want to use films like this to get him to improvise. As it was, he essentially did just that on the night. #6 - All the while I'd been indulging in Mr4, Mr2 was roaming around looking for Peppa. It was only fair therefore to include him. Until the overindulgence earlier with Peppa Pig his main experience of technology had been listening and dancing to songs such as Rockabye Bear by The Wiggles. Consequently I played this and he was over the moon, particularly being able to view it on the big screen. He treated everyone to a little dance and the whole audience joined in with the clapping and and actions. Here is a video to accompany the earlier post Authentic Learning in Primary Science.